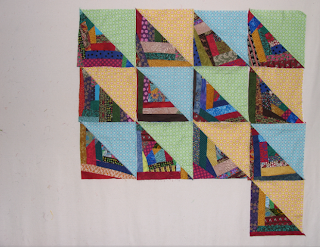 and quickly made 6 more total to this large half square triangle project! I plan to keep going on the weekends, adding a few more as I go.. 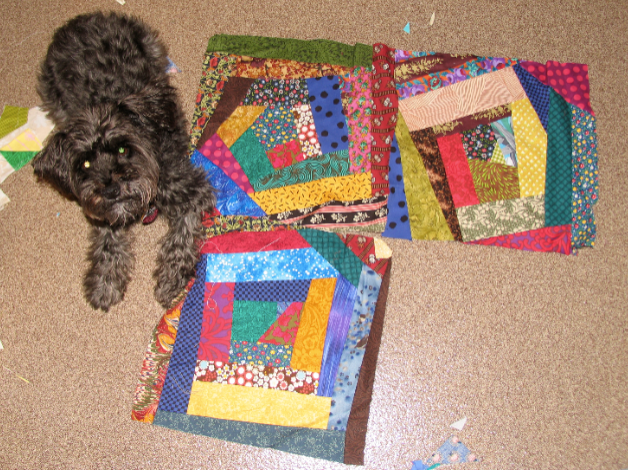 I'd like this to be a KING size border less Quilt... I just love it. I've seen some really lovely projects going here, by all of you!!! 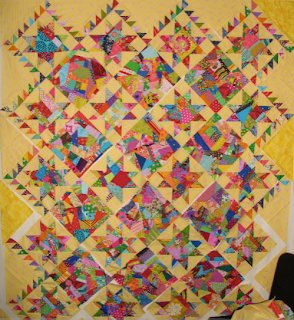 one 6.5" scrappy block turned into stars and more. Where will your 15 minutes take you next? Happy playing and finding out! Love it all! Really! I hve had such small bits of time this week, I don't know where it all goes. Maybe tonight, LSU is playing, grand-dog is home with his momma and the quilt room is a bit more tidy and neat (if you can call it that) and the chicken salad is ready to spoon on to the bread when he is ready to eat. 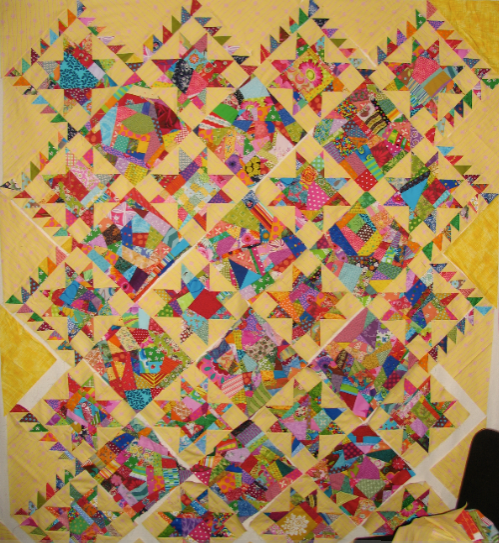 QUILT ROOM HERE I COME! You are such an inspiration not to get bogged down with 'doing it right' but just to go for it! And the results are fantastic! 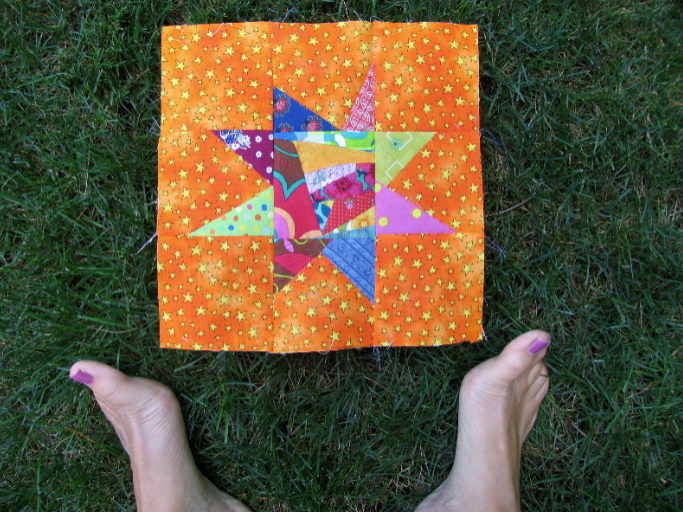 Love the scrappy star on orange spots...like a magical sky! No matter how busy you are, you get so much done. I really like how you mixed the scraps with a solid triangle. That orange star is wonderful, and I love the scrappy house in your kitchen sink quilt. Ooo! 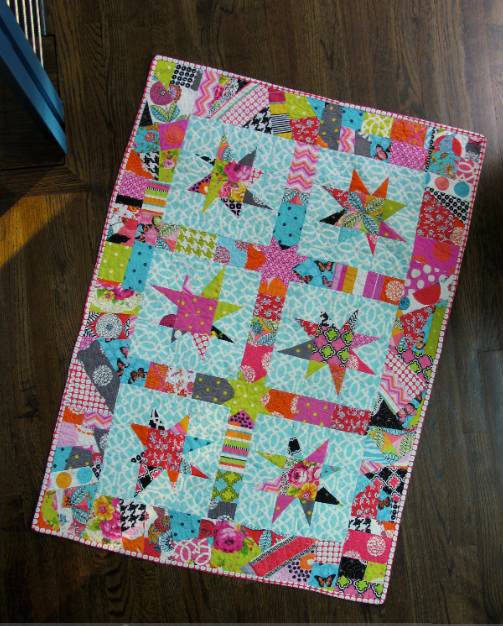 I love the dotted background in the scrappy star block! I've been looking for something fun to do with all the dots I've collected. This may be the answer! Lots of inspiration on this post! You've given me more stuff to think about. Like you, I'm finding it hard these days to devote even 15 minutes to playing. Things are looking up, though, and I'm hoping to get back in the groove!